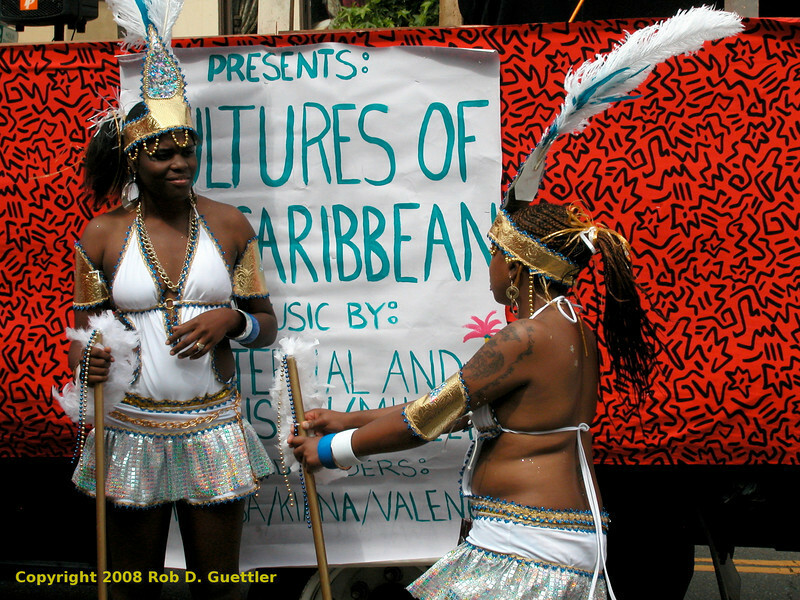 Dancers with Culture of Caribbean float. Sistas-Wit-Style, Carnaval Parade 2008 staging. Bryant St. near 24th St., Mission District, San Francisco, California.